INVITE PEOPLE WHEN YOU START A NEW ACTIVITY. 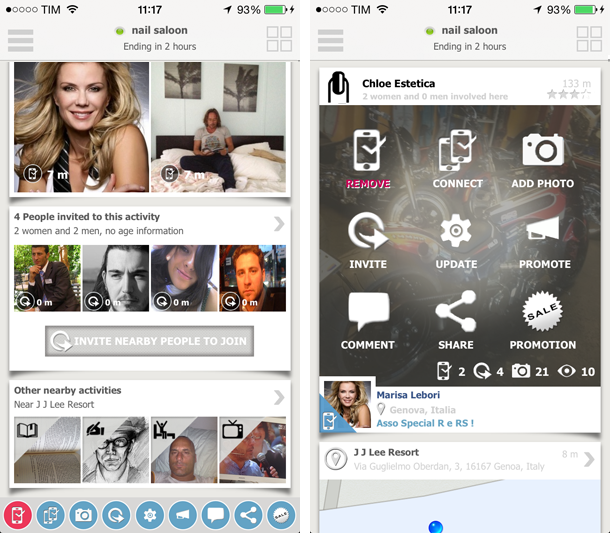 Tap on the INVITE button: you will see 4 kind of lists of “expreem” people where you can choose from, and in addition all your contacts from Facebook, Twitter and your phonebook. You can invite for free 5 to 7 expreem people (depending on your country), for any other more that you add you will need to have some credits. Just add the people you want, expreem will check for you your credit balance and will respond right there what you have to do or if you’re just fine. Outside the expreem people you can – of course – invite as many friends as you want from your personal network (Facebook, Twitter, Phonebook). Just tap on a person and you will see it flagged (invited). Tap again to remove. 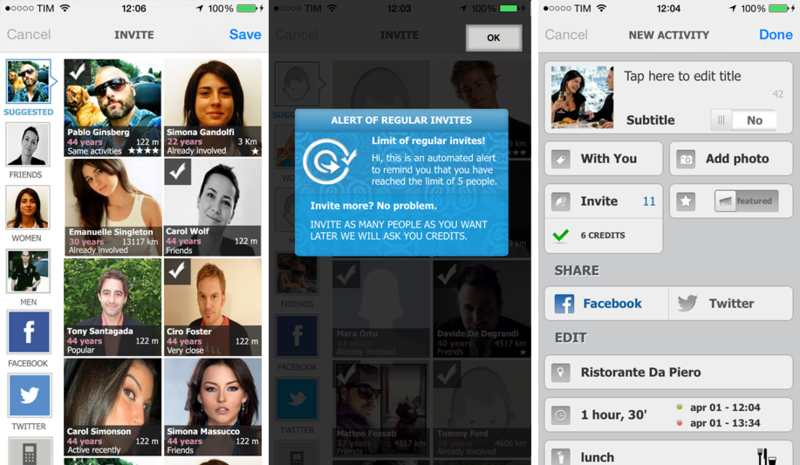 INVITE PEOPLE TO AN EXISTING ACTIVITY. To invite just tap on the main photo to make the menu appear or scroll the page and use either the INVITE button in he invite badge or the bottom tiny menu.